A bespoke programme of 1:1 support using bodywork, healing, spiritual counsel, yin yoga movement and flower essences, based on naturopathic principles, to facilitate change and enhance health and wellbeing. Perhaps you are looking to change eating habits, exercise more, develop confidence, improve relationships, maybe you feel stuck in a rut, or yearning for more in your life? Making these kinds of changes can feel daunting, even confusing as to where to start, what do you need to do first? We have an initial consultation to discover past influences at play, what might be preventing you from change and then working to release these patterns and create new ones that feel more relevant to you. Drawing upon your sense of knowing, and my 20+ years of experience working with people, we devise a programme of steps. This can be done via skype or in the clinic room. 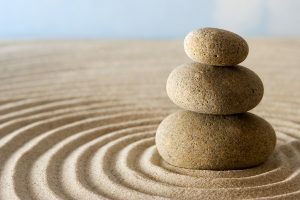 We access a range of tools to support these steps, be it flower essences to shift emotional patterns, some bodywork to release tension, craniosacral work to settle and clam, perhaps yin asana might prove useful, or learning meditation techniques. We have found that a programme of 6 weeks is a sensible starting point. This takes the form of an initial consultation of around 90 minutes, followed by 5 follow up weekly sessions of 1 hour. After the 6 weeks we reassess, it might be that further weekly or monthly follow up is useful. If this process appeals to you, send an email or ring and we can talk through options.